Previous image, 24 total items. Next image, 24 total items. It's easier than ever to save with Exmouth vacation packages on Expedia. You'll have heaps more time to sort out the exciting stuff — and more spending money! Savvy travelers who book a package deal on Expedia can save up to C$590*. With more than 400 partner airlines and 321,000 properties to select from on our universal database, you won't have any problems crafting your dream vacation. Need more time to decide? There are no extra charges from us if you change your mind for almost any reservation. Nearly ready to embark on your Exmouth vacation? Haven't got a clue what things to include in your travel itinerary? No need to stress — we'll give you some suggestions. It's hard to imagine how people in the past functioned at home without all the modernized appliances we rely on today. Step through the door of A La Ronde and find out how they did. Travelers have an excellent range of things to do in this destination. History has much to teach us. Soak up the knowledge and learn from the past at Exmouth Museum. Still have some time to spare? Like to wander where the WiFi signal gets weak? Turn off your phone, forget about the daily grind and hike through nature at Exe Trail. Ready to make some amazing memories? A vacation is the ideal time to try your hand at a few cool new experiences. Before heading home, why not look into purchasing a Ningaloo Whale Shark Swim & Eco Tour on a Sailing Catamaran? It's a fantastic way to remember your trip. If you'd rather take a look at a complete list of activities, head to our Exmouth things to do page. If you're hoping to find somewhere to stay in the center of Exmouth, you might have to think again. That said, you will discover 17 properties all within an easy drive. Cheap vacations and luxury getaways — Expedia will help you out. Want to know what our recommendations are? Check out the Syon House (East Budleigh Road) and the Langstone Cliff (Mount Pleasant Road). All ready for your trip to Exmouth? Planning to catch a flight? You'll be received by a crowd of smiling faces at Exeter International Airport (EXT). It's located 6 miles (10 km) north of the center of town. 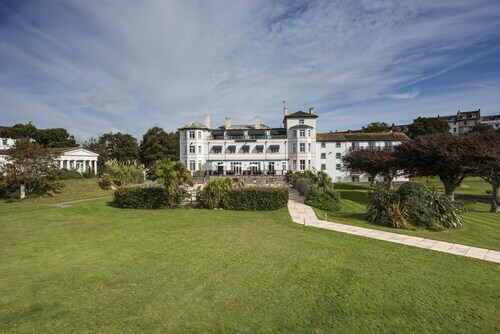 Situated near the beach, this luxury hotel is within 1 mi (2 km) of Exmouth Beach and Dawlish Warren Nature Reserve. Devon Cliffs Beach and A La Ronde are also within 3 mi (5 km). Exmouth Station is 7 minutes by foot. 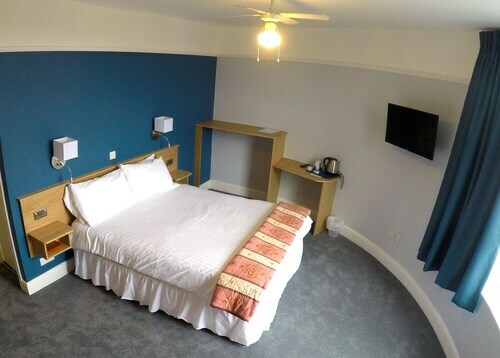 Situated by the ocean, this hotel is within 1 mi (2 km) of Exmouth Beach and Dawlish Warren Nature Reserve. Devon Cliffs Beach and A La Ronde are also within 3 mi (5 km). Exmouth Station is 10 minutes by foot. 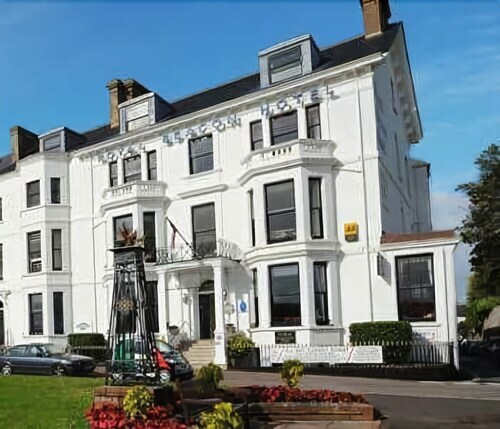 Situated in Exmouth, this hotel is within 1 mi (2 km) of Exmouth Beach and Dawlish Warren Nature Reserve. Devon Cliffs Beach and A La Ronde are also within 3 mi (5 km). Exmouth Station is 7 minutes by foot. Situated by the sea, this hotel is within 1 mi (2 km) of Exmouth Beach and Dawlish Warren Nature Reserve. Devon Cliffs Beach and A La Ronde are also within 3 mi (5 km). Exmouth Station is 7 minutes by foot. 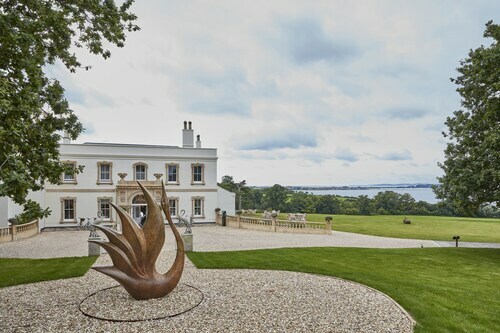 Situated in Exmouth, this bed & breakfast is 1 mi (1.6 km) from A La Ronde and within 3 mi (5 km) of Exmouth Beach and Dawlish Warren Nature Reserve. Devon Cliffs Beach is 2.4 mi (3.9 km) away. Exmouth Station is 15 minutes by foot. Situated in Exmouth, this cottage is 0.6 mi (1 km) from A La Ronde and within 3 mi (5 km) of Exmouth Beach and Dawlish Warren Nature Reserve. Devon Cliffs Beach is 2.8 mi (4.5 km) away. Exmouth Station is 21 minutes by foot. 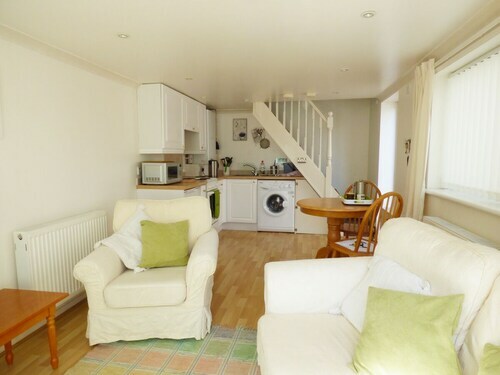 Situated near the beach, this guesthouse is within 1 mi (2 km) of Exmouth Beach and Dawlish Warren Nature Reserve. Devon Cliffs Beach and A La Ronde are also within 3 mi (5 km). Exmouth Station is 6 minutes by foot. Located in the heart of Exmouth, this vacation home is within 2 mi (3 km) of Exmouth Beach, Dawlish Warren Nature Reserve, and A La Ronde. Devon Cliffs Beach is 1.9 mi (3.1 km) away. Exmouth Station is 6 minutes by foot.